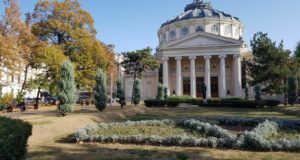 Romania has officially taken over the Presidency of the EU Council on Thursday night in a ceremony held at the Romanian Athenaeum on Thursday night. President Klaus Iohannis, PM Viorica Dancila, Senate Speaker Calin Popescu Tariceanu, vice-president of the Chamber of Deputies Florin Iordache delivered speeches on behalf of the Romanian side, while EP President Antonio Tajani, President of the European Council, Donald Tusk and EC President Jean-Claude Juncker gave speeches as representatives of the European bodies. 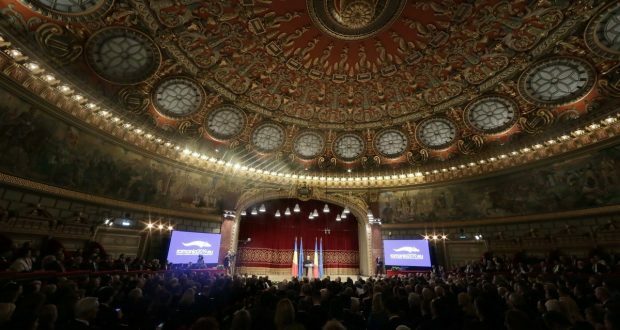 The most applauded speech by far has been the one of the President of the European Council, Donald Tusk, who spoke in Romanian, mentioning the importance of the Romanian spirit, recalling Romania’s sports successes, declaring his love for the Dacia brand and quoting from such Romanian writers as Nichita Stănescu, Mircea Eliade and Andrei Pleşu. 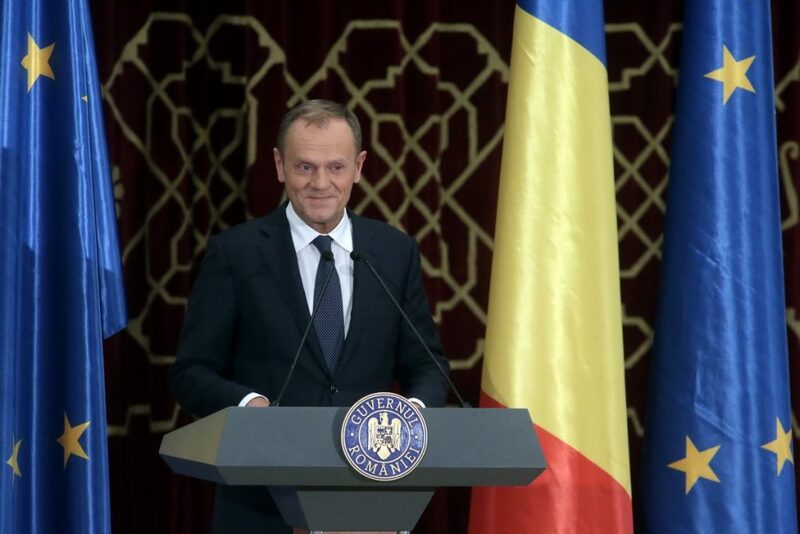 In his speech fully delivered in Romanian, cheered several times, Donald Tusk voiced trust that Romania will be leading the Council of the European Union “with energy and with wisdom a true Romanian Rhapsody” during the six-month term. “I am very proud and happy that I will be leading by your side our common European affairs in this semester of the first Romanian Presidency at the Council of the European Union, I am positive that a true Romanian Rhapsody will be performed with energy and wisdom during these six months . I am positive that your presidency will be as energetic, Romanian, and European, as George Enescu’s music. And I am not just saying that because we are at the Athenaeum tonight. I am saying it because I know how resilient and how creative the Romanian nation is,” the leader of the European Council stated. Donald Tusk voiced his conviction that Romania will do all its best to defend Europe’s interests and that, during its mandate at the Presidency of the EU Council, Romania will give the necessary weigh to the observance of rules. “You will be Europe’s hosts and I am convinced that you will act in the spirit of the proverb <Omul sfinteste locul/The man blesses the place>. In this fast changing world in which the future will surprise us day by day, observing rules and the attachment to principles will play an essential role,” he pointed out, subsequently quoting from a poem by famous Romanian poet Nichita Stanescu. “To those who imagine that it is a sign of strength to act outside the agreed rules and find shortcuts within the European Union I am telling they are wrong. It is a sign of weakness. To those who make efforts to defend the European values, our freedom and rights, I am telling: ‘Keep up the fight!’ Don’t forget that there will always be challenges and that sometimes, as Mircea Eliade used to say, ‘Light doesn’t come from light, but from darkness.’ And, also remember these words of Andrei Plesu: “All obstacles seem walls. The question is to treat them as mirrors or windows,” Tusk stated. The President of the European Council added that it is now up to Romania “if and how” Europe will overcome the future challenges. “It is only up to you if the Romanian policy will be for Europe a good example or a sever warning. At the informal meeting of Sibiu of the European Council our common view on Europe’s future will be at stake,” Donald Tusk underlined. He further praised Romania, saying it has the gift of fascinating him and listing several of the Romanian benchmark personalities and brands. “Romania has the power of fascinating and thrilling me. In my family, the first car belonged to my father-in-law and it was a Dacia 1300. It so happens that the father in law of my son also drives a Dacia Duster, However, more than the Romanian cars, I am fascinated by the Romanian intellectuals and athletes. Mircea Eliade, Emil Cioran, Dadaist Tristan Tzara, Eugen Ionescu are all heroes of my imagination, like the outstanding athletes such as Nadia Comăneci and Simona Halep. But the episode that settled in my memory the most was the final of the Football European Champion Cup in 1986, when Steaua Bucuresti football club defeated Barcelona. And I would like to call on all Romanians to defend, in Romania and in Europe, the foundations of our political civilisation: freedom, integrity, observing the truth in the public life, the rule of law and the Constitution. To defend them with the same resolution that Helmuth Duckadam defended those four penalties one by one. I found that impossible back then! But he did it. And you will succeed, too. In this way, I can assure you of my entire support”, Donald Tusk concluded. 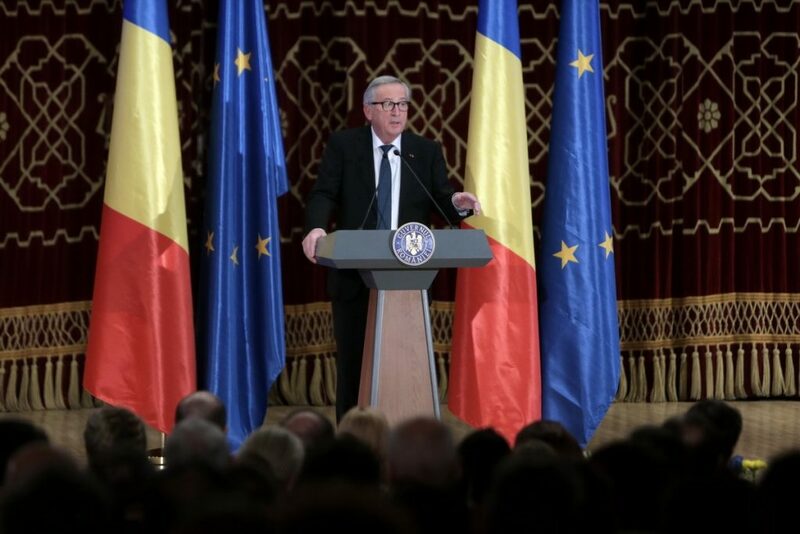 President of the European Commission Jean-Claude Juncker said in his turn that he remains faithful to his belief that Romania should be part of the Schengen space. “Romania has its place at the center of the European Union. The European Union is not complete without Romania. The natural place of Romania is also in the Schengen Area. I was pleading in 2014 that Romania should be part of Schengen. I remain faithful to this promise. Romania must be part of the Schengen Area“, Juncker underlined. The European official also spoke of Romania’s “difficult and often exigent journey” on the path of joining EU, praising our country’s intellectual spirit. “I admire your cultural and intellectual life. It is strong. It was the same during the long decades in which Romanians, like other countries in Central and Eastern Europe, paid a heavy toll until their liberation from communism. (…) We recall that in 2007 Romania joined the European family. (…) In April 2005, when I was President of the European Council, in the name of the EU I signed the Accession Treaty of Romania. I want to tell you that I am still proud of this act that I signed. I recall that the road towards the accession of Romania was always difficult and often exigent (…) Defending our common values must always be respected, without doubts and without weakness,” Juncker emphasized. At the same time, he talked about the challenges regarding the rule of law. “The European Union is made of compromise, but when we talk about the rule of law and the anti corruption fight, there is no possible compromise,” he stressed, adding that he is relying on the “energy and unity of the Romanian nation” regarding the Presidency of the EU Council. “Romania is now taking over the Presidency of the Council of the EU. It is a crucial moment in our common history. Under your presidency, dear friends, we will open a new chapter in our common history that will be written at the Summit in Sibiu, where we will give true future perspective to all our citizens,” Juncker concluded his speech. 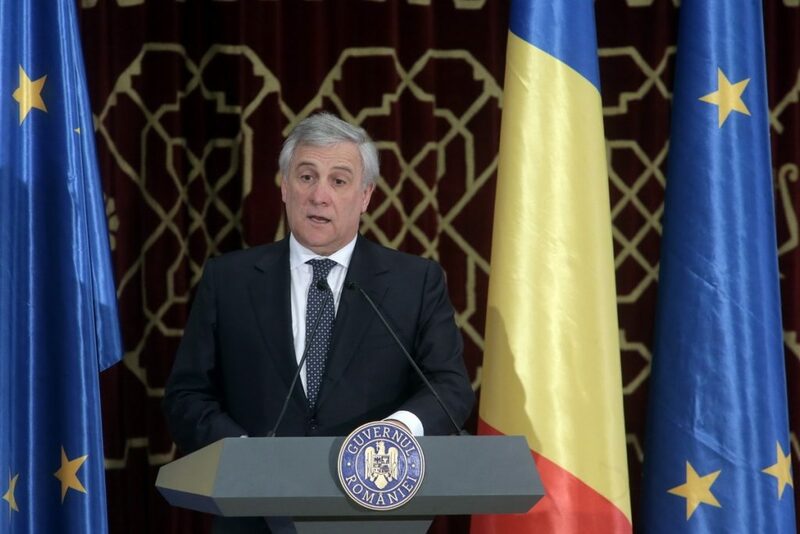 The President of the European Parliament, Antonio Tajani, has also called on the EU member states that are blocking Romania’s access to Schengen to revise their stance, asserting that Romania’s and Bulgaria’s joining Schengen is important for security. Tajani, who started his speech in Romanian, said he feels like at home in Romania. 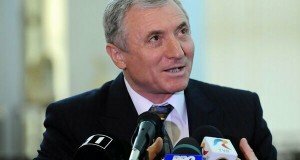 “2019 will be a determining year for Romania and for Europe. The Romanian Presidency must guide the Councils of the EU in the months that precede the European elections, in a moment in which Europeans are requesting a more efficient Europe. Romania has always had a European vocation (…) I feel like home here,” said Tajani. The EP President argued that while the Union is unable to provide rapid responses, “populist sirens are gaining ground”. “We must have, more than ever, a powerful Europe to protect our citizens. It is essential to work together for a more efficient Europe. The motto of the Romanian Presidency echoes this demand. Cohesion is a common European value, because it reflects exactly the will to not leave anyone behind,” the European leader pointed out. The President of the European Parliament concluded that “we are counting on the Romanian Presidency to promote this ambition and to support the idea of cohesion and solidarity.” “More solidarity in the future budget means that solidarity does not have to go one-way. I want to thank Romania for proposing to accommodate migrants disembarking in their countries of first arrival. It is an example to be followed,” said Tajani.